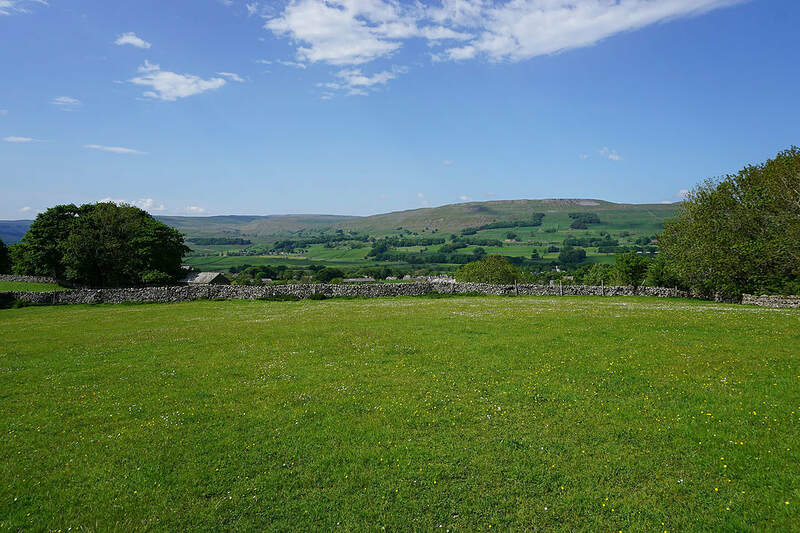 This was my first ever visit to Wensleydale and long overdue. 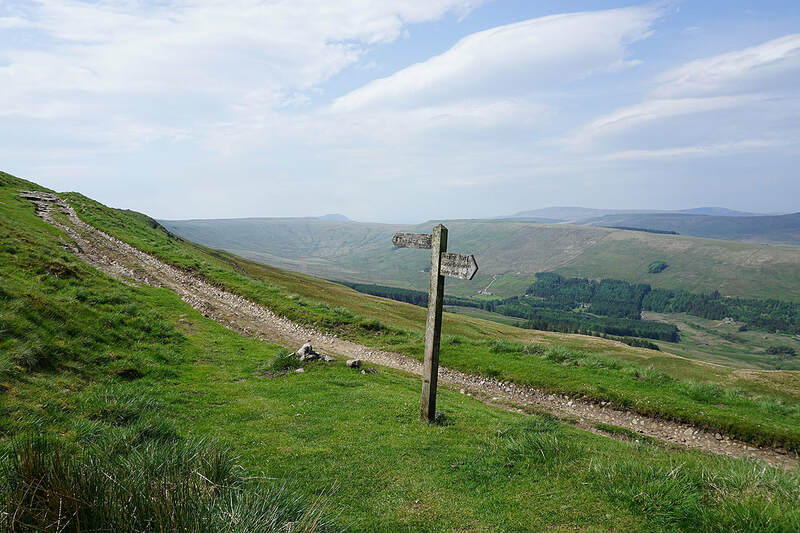 Up until now I'd thought that it was just too far away to travel to for a day trip. 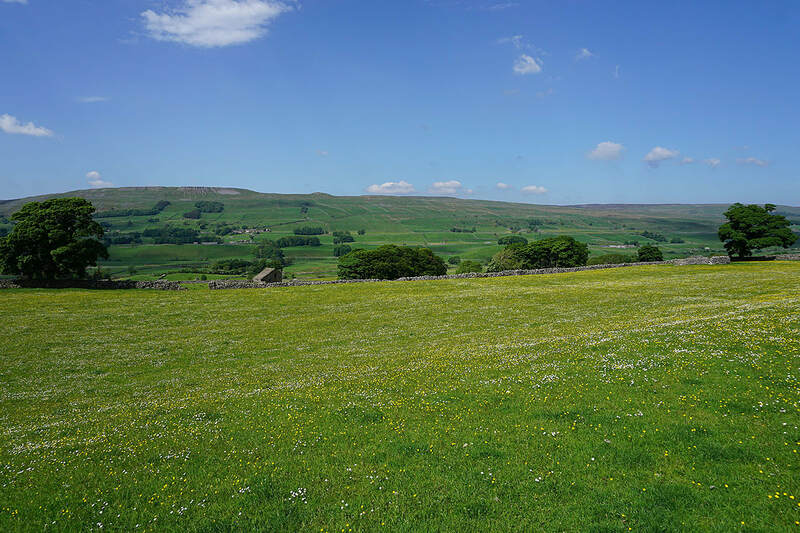 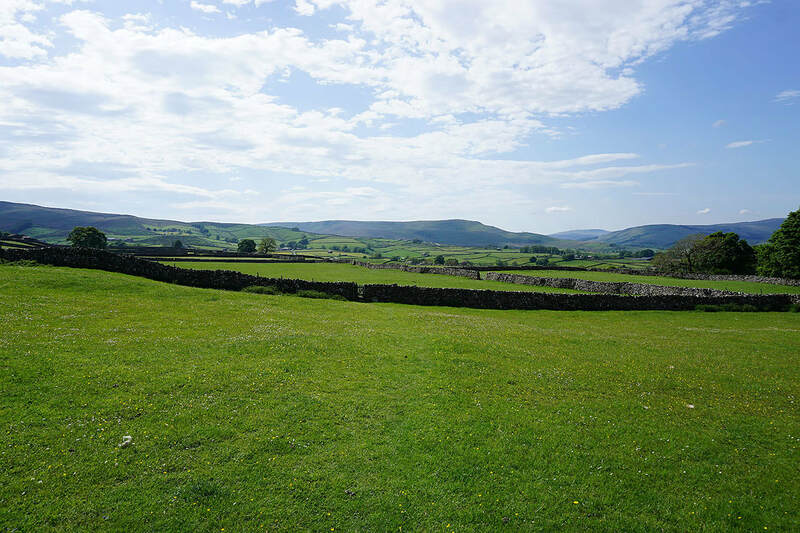 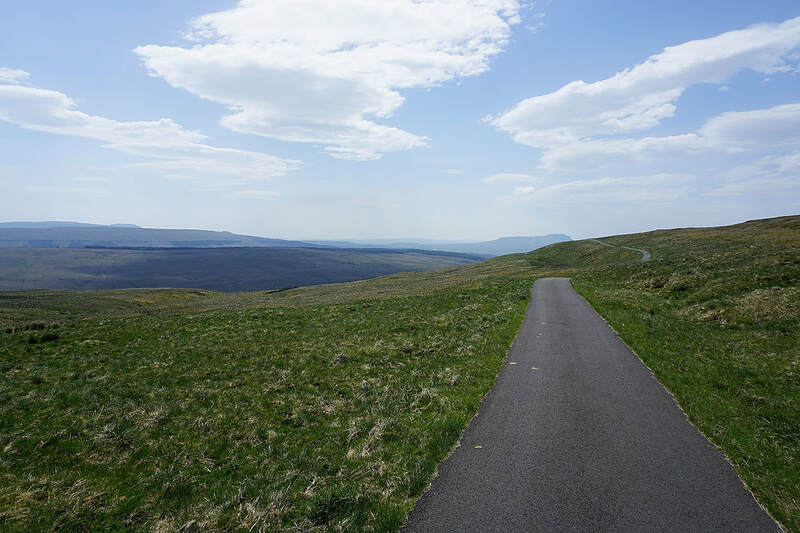 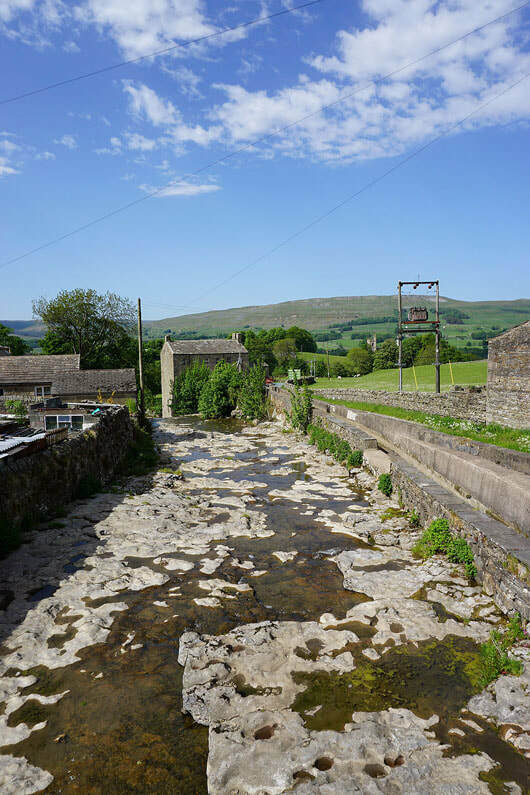 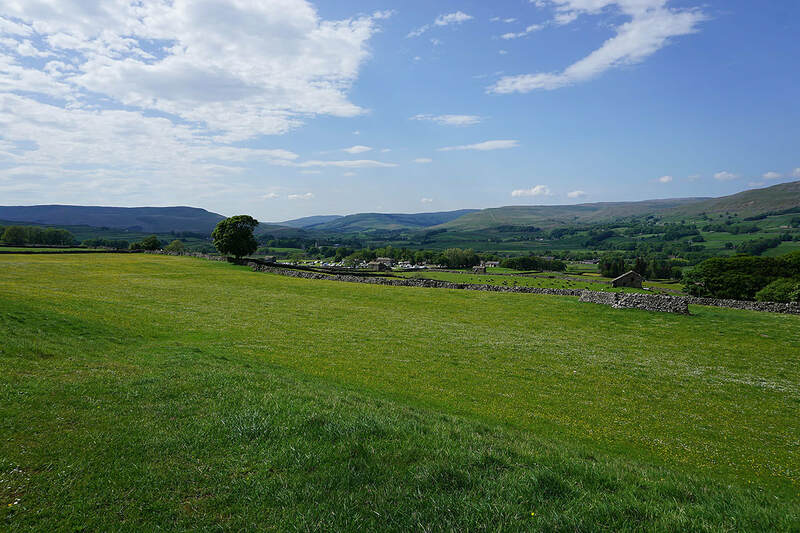 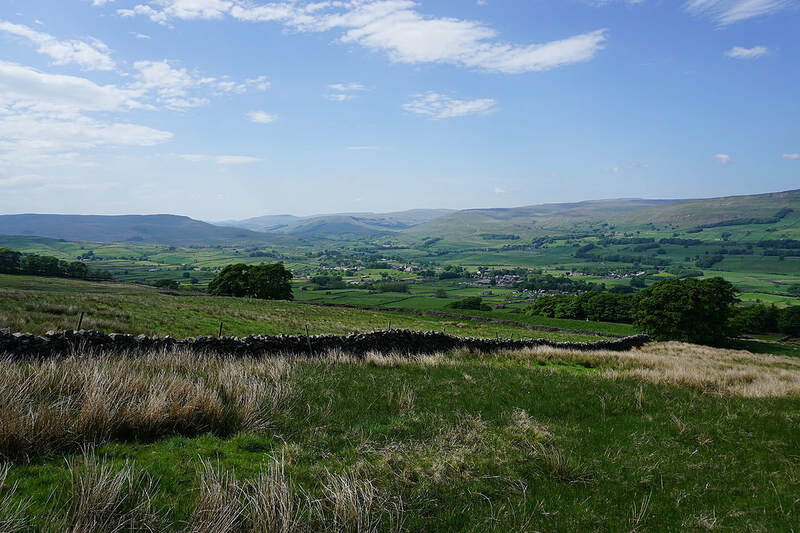 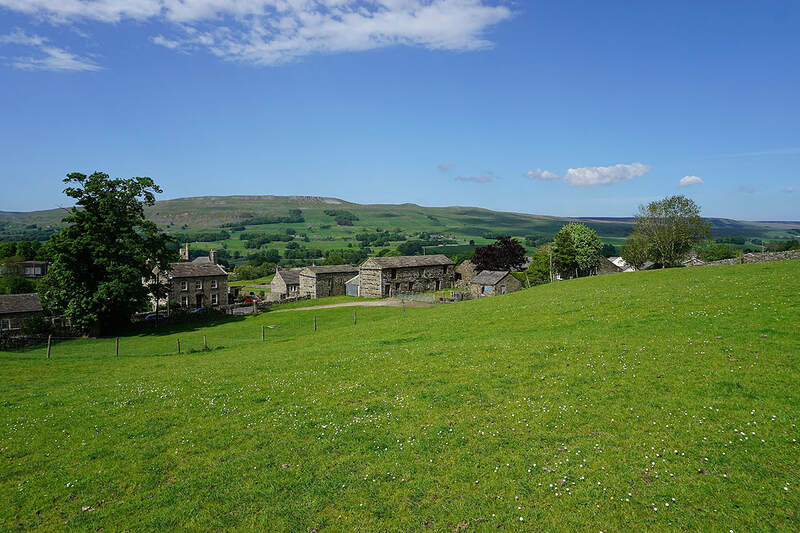 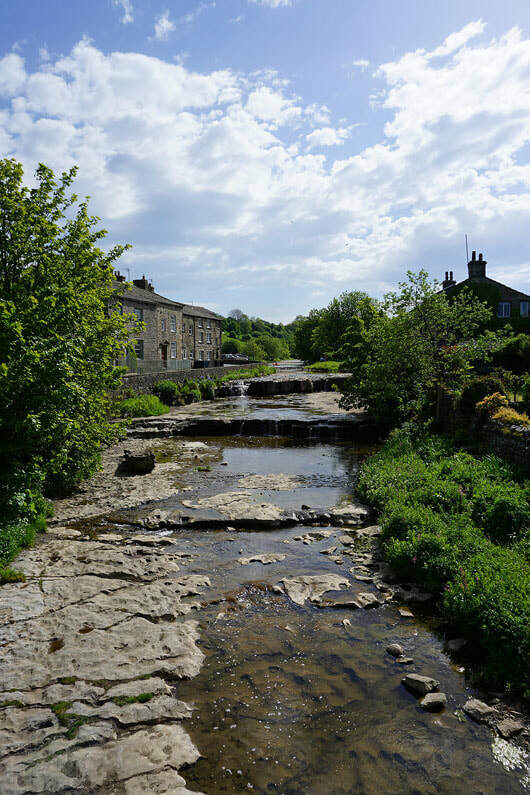 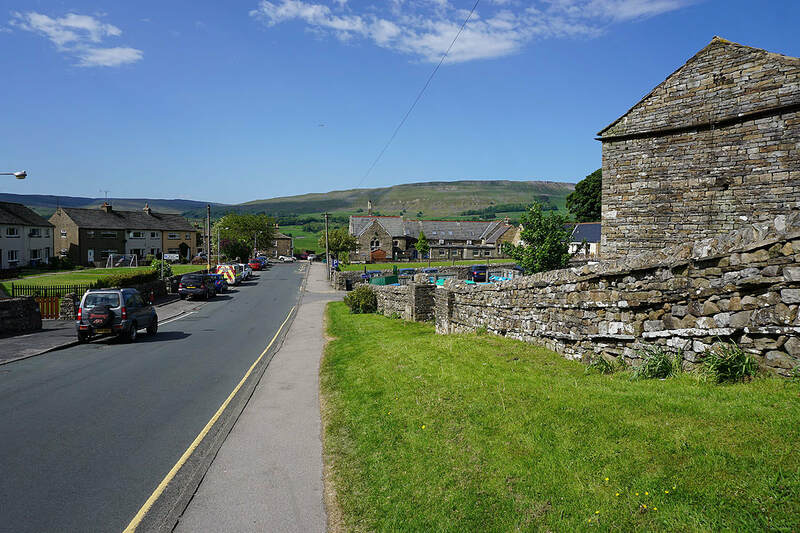 After considering the fact that I'm quite prepared to drive up to the Lakes and back for a day then this upper part of Wensleydale isn't that bad, especially if I go via Ribblehead, which makes it a nice drive. 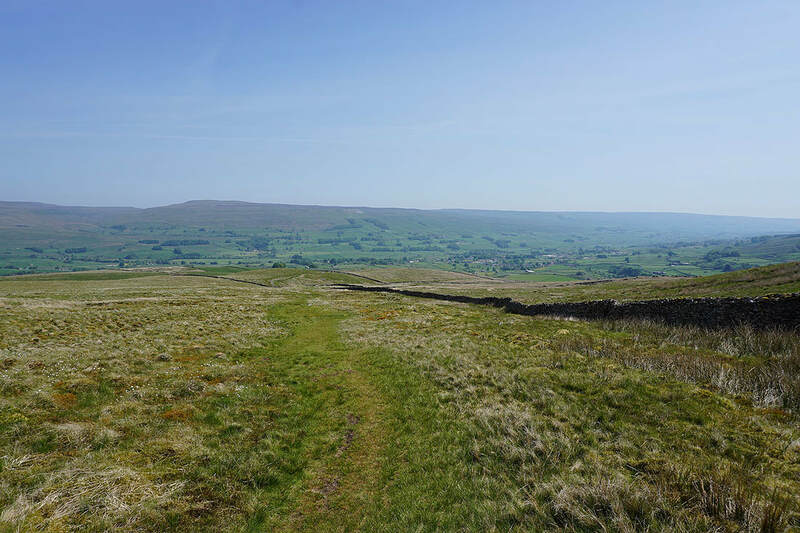 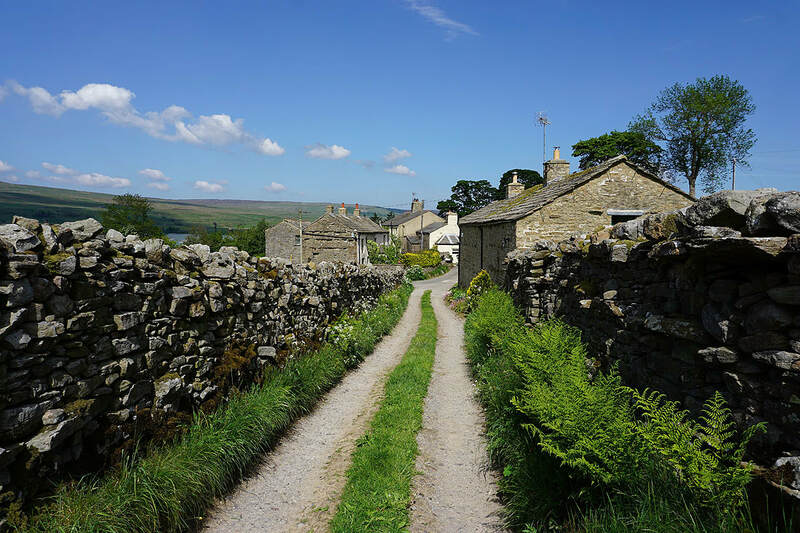 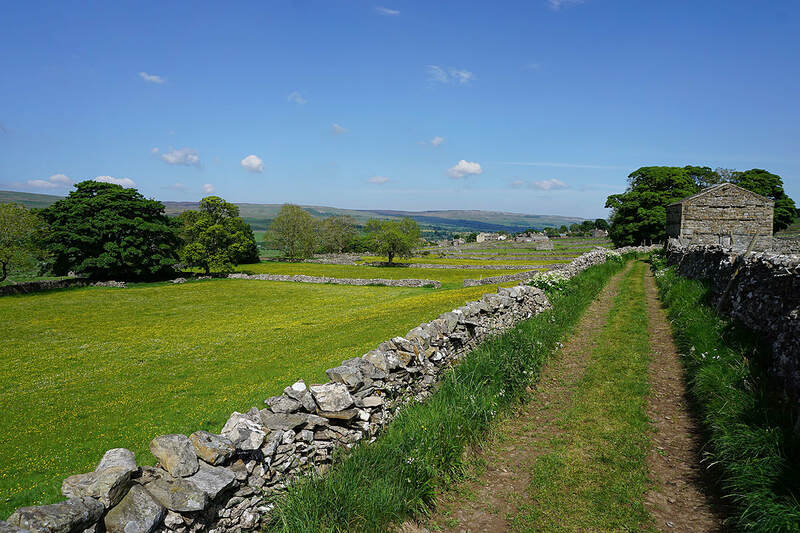 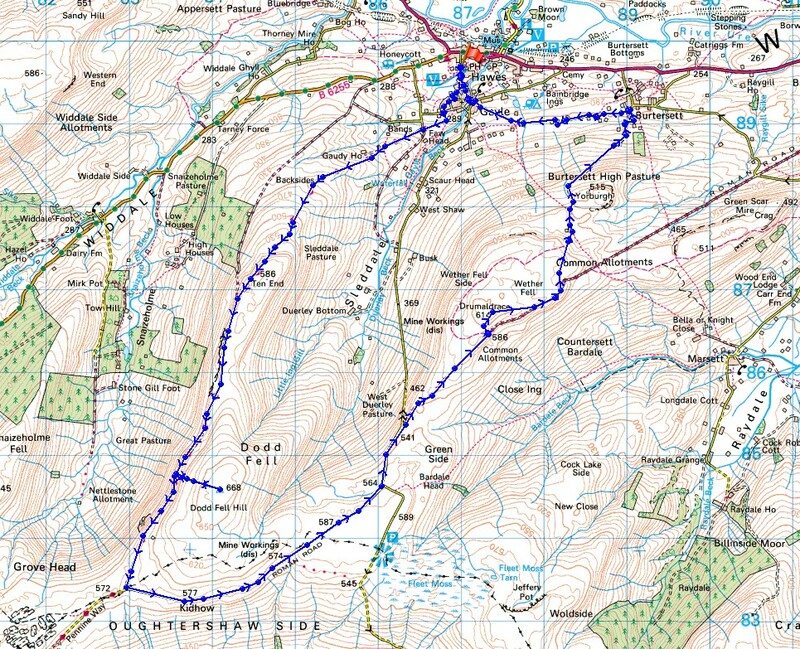 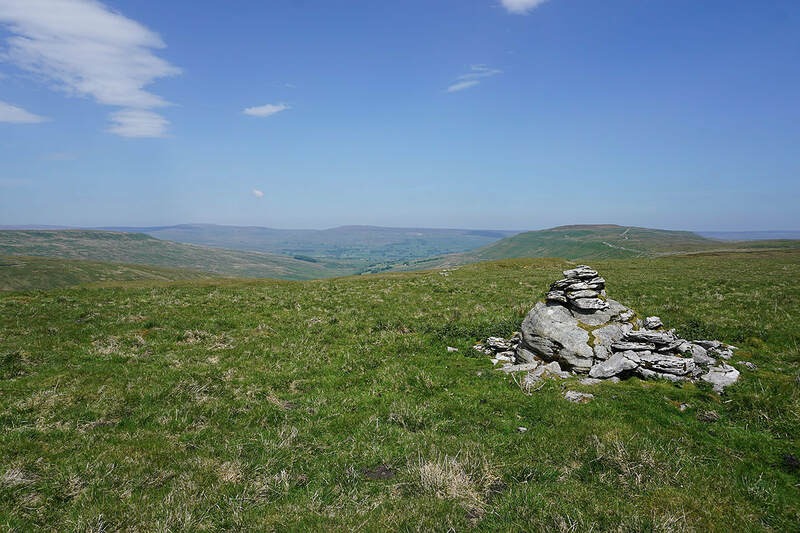 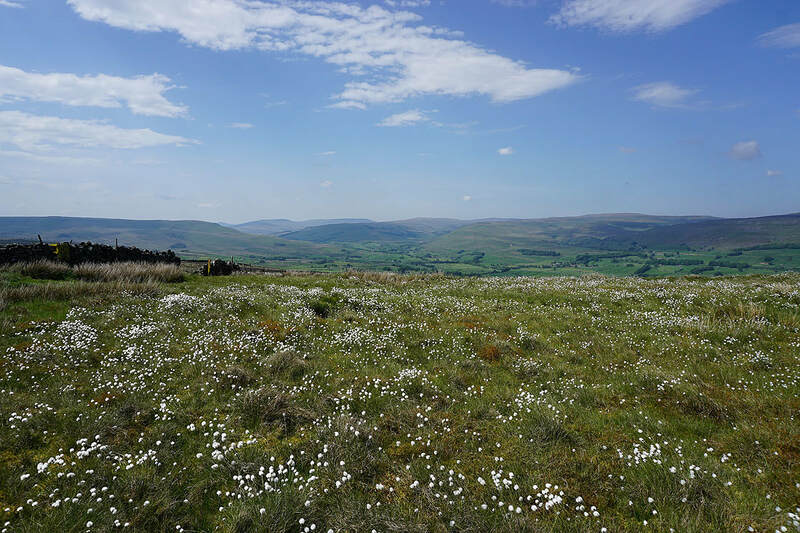 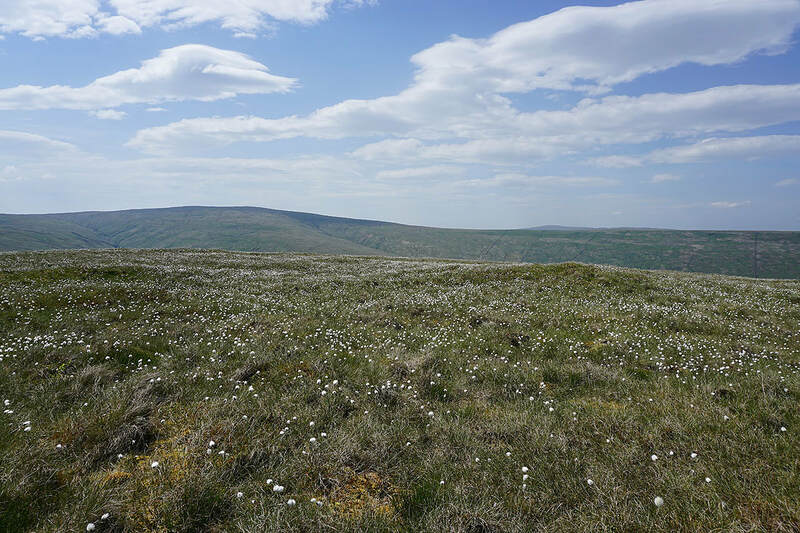 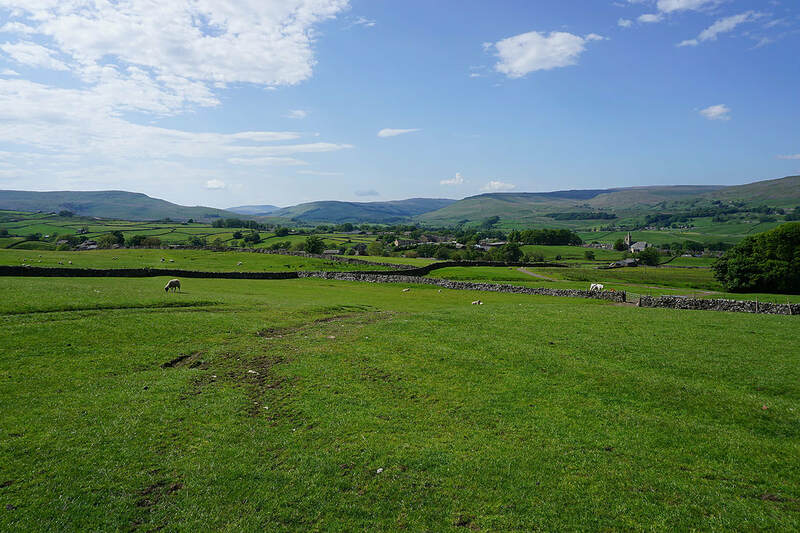 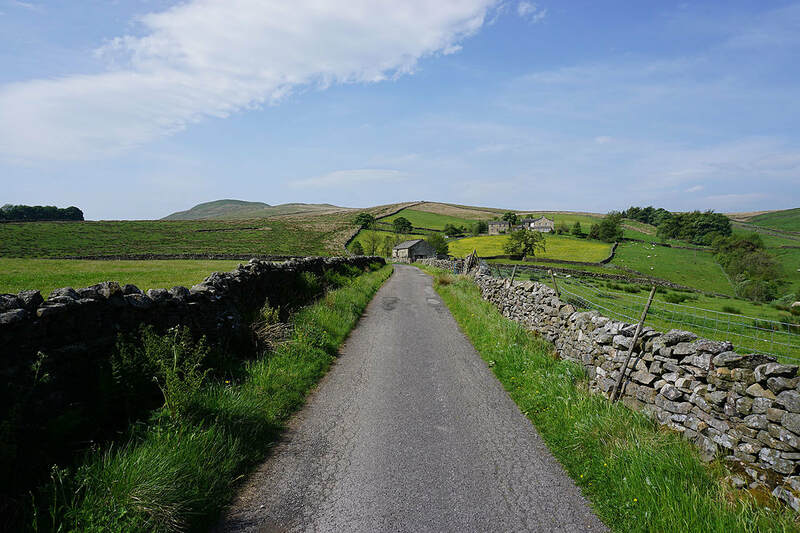 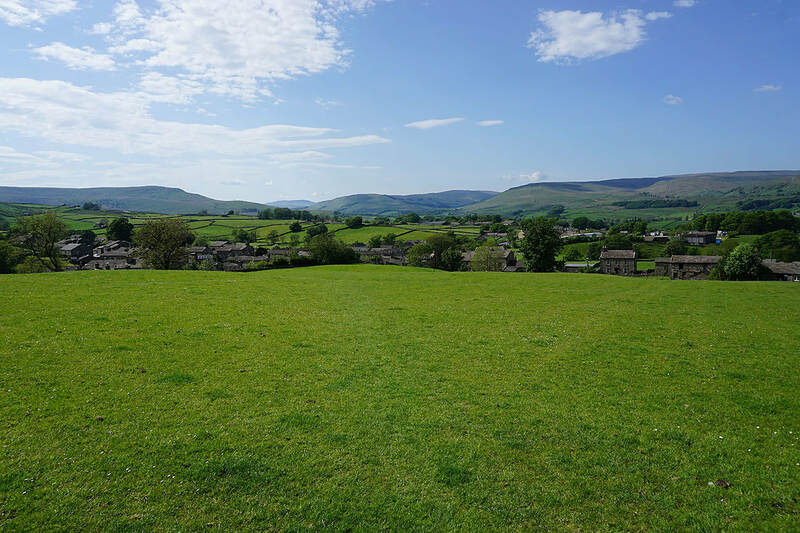 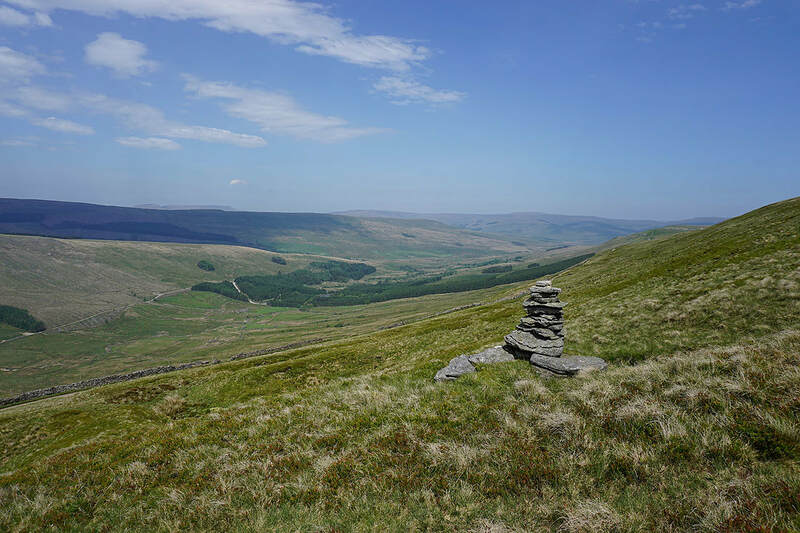 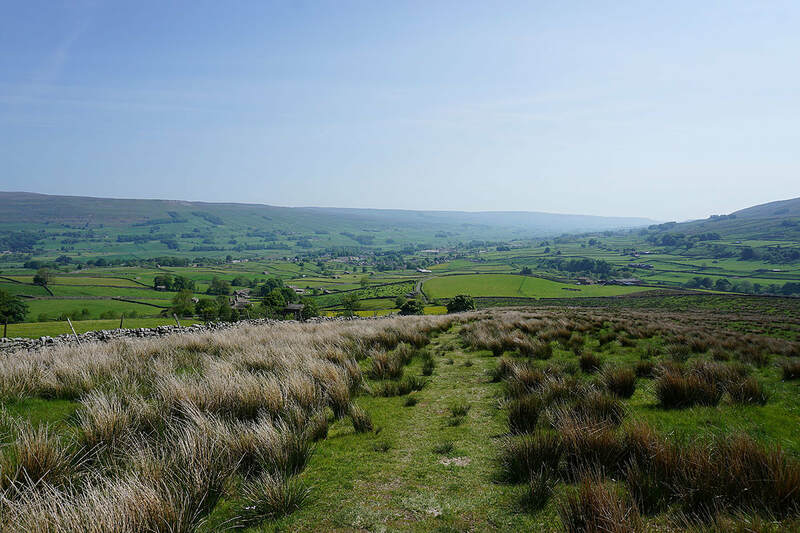 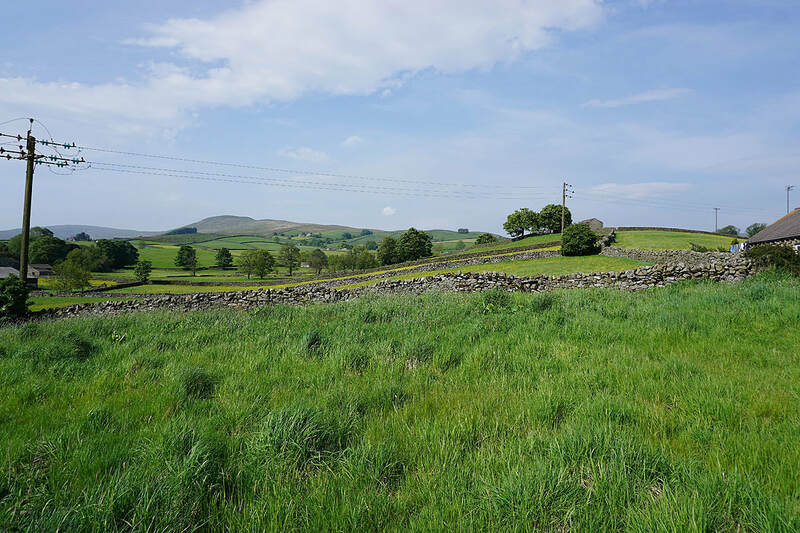 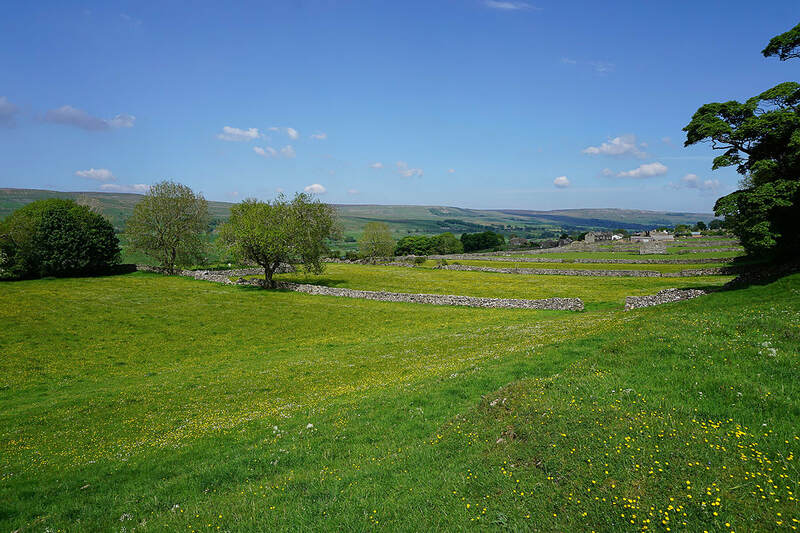 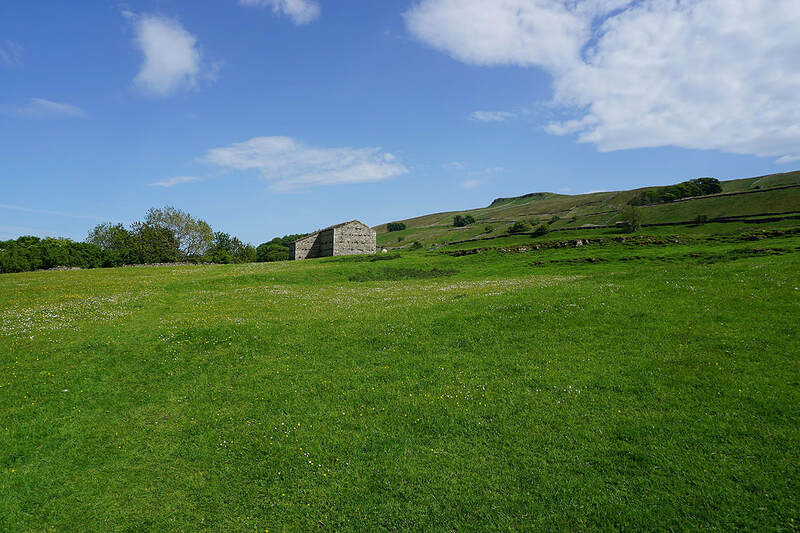 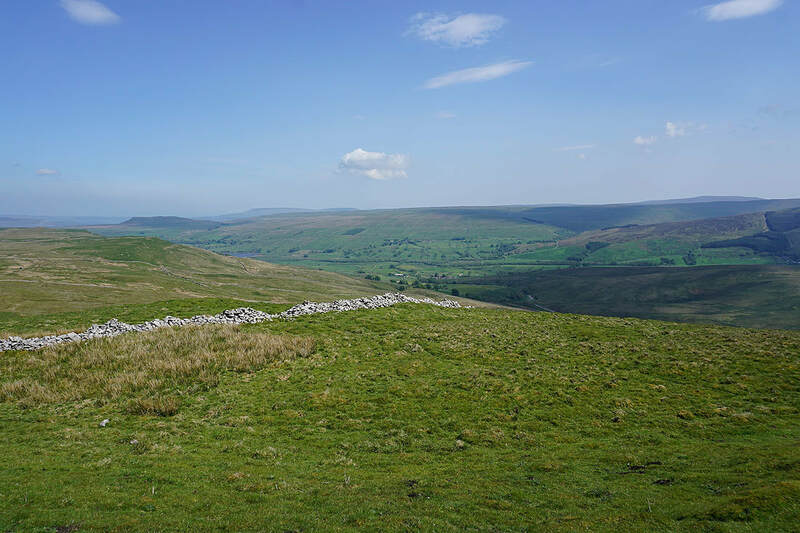 The route that I chose was one that I'd marked off in a guide book years ago, (with the intention of getting around to doing it), as being an obvious circular walk to do from Hawes. 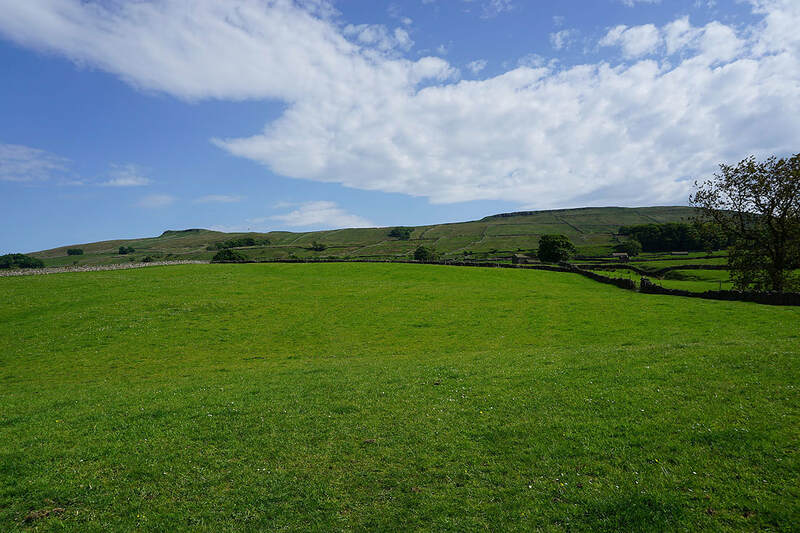 I couldn't have asked for a better day for it. 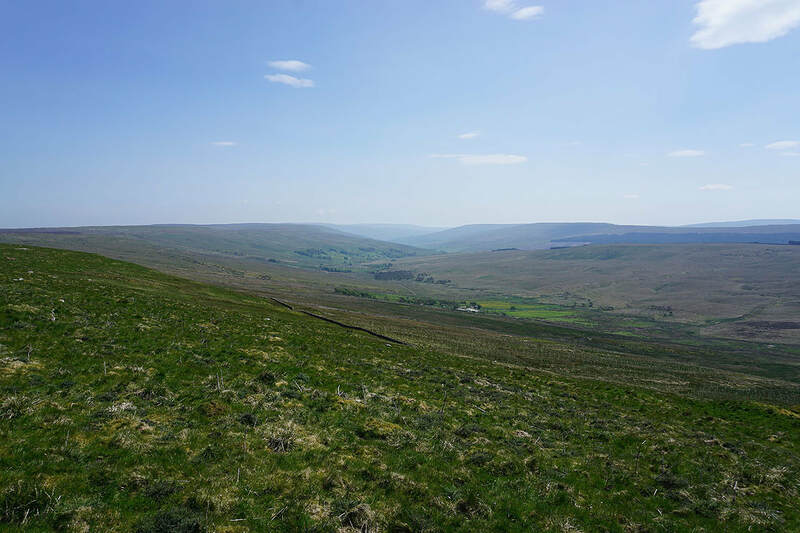 Very warm, lots of sunshine, a strong wind high up (not as windy as yesterday and needed to temper the heat) and good enough visibility for taking in the views. 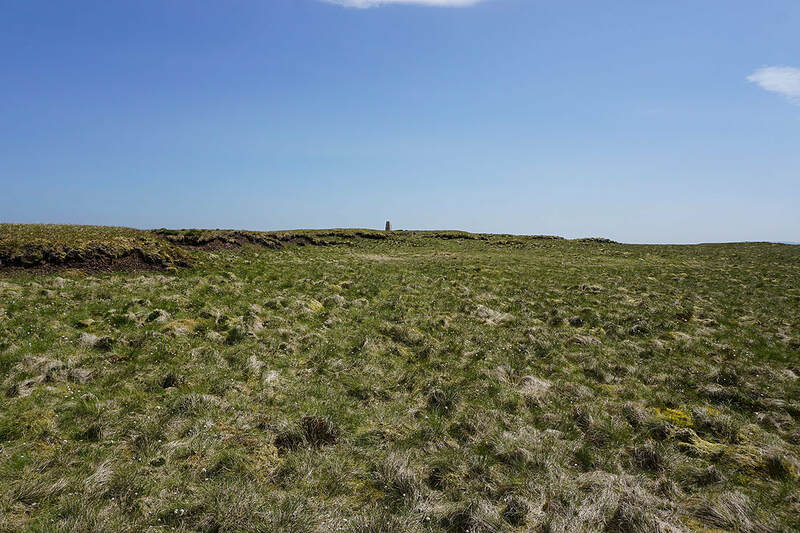 The warm dry weather of recent weeks made for easy going when it came to reaching the trig point on Dodd Fell Hill. 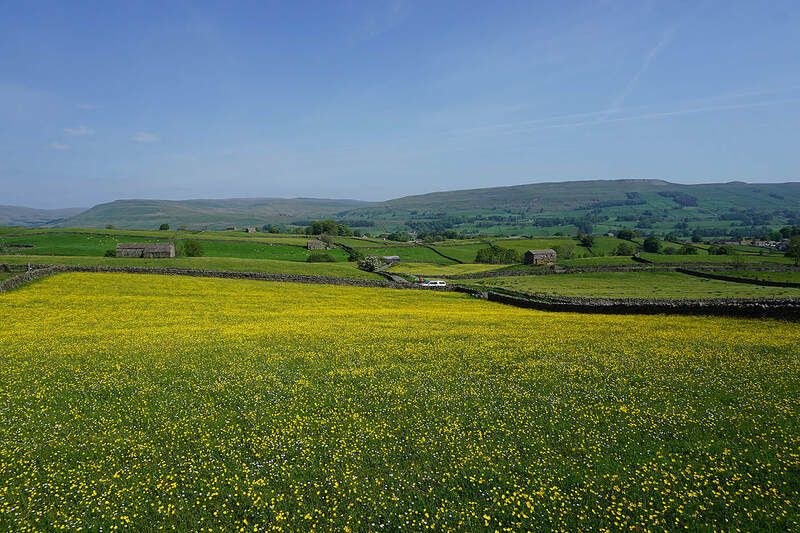 The highlight of the day though had to be the buttercup filled fields in Wensleydale. 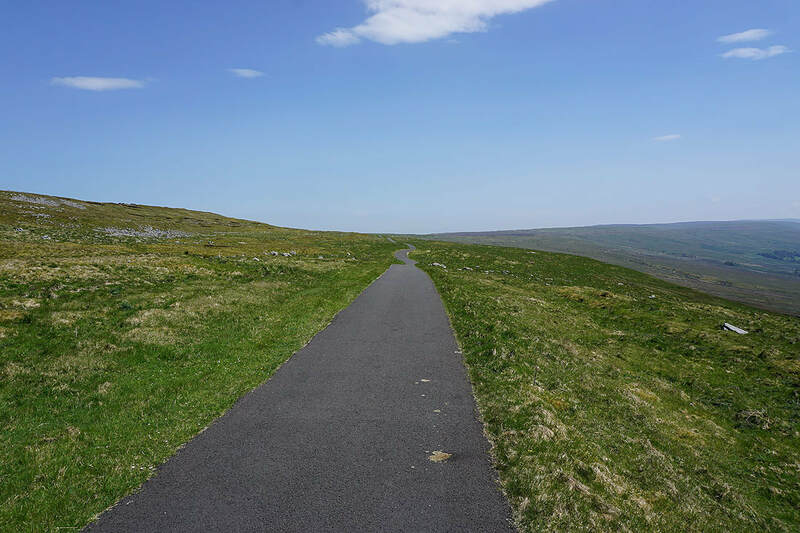 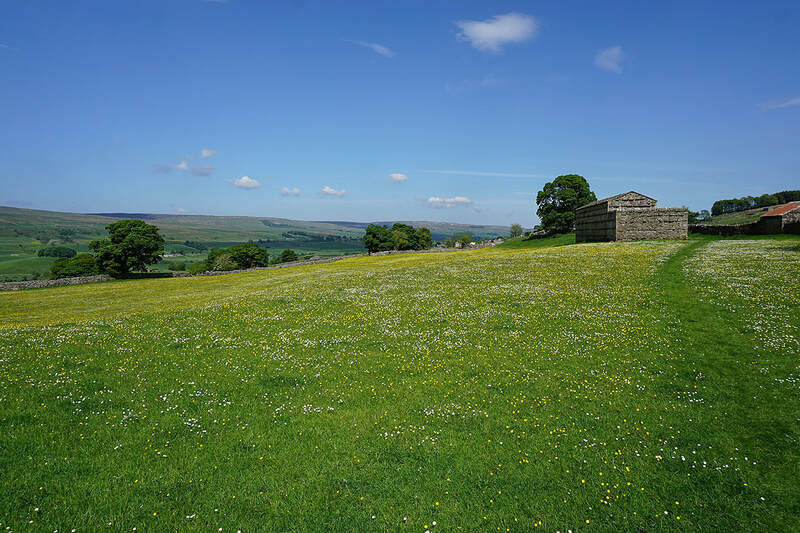 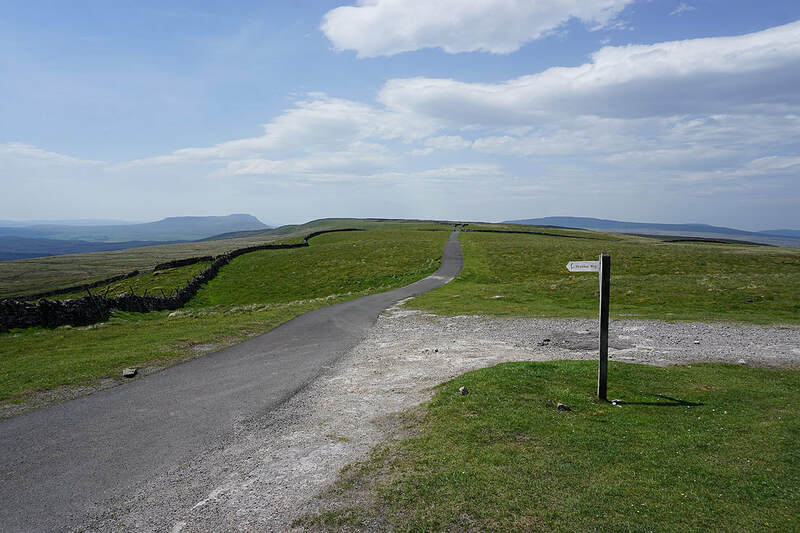 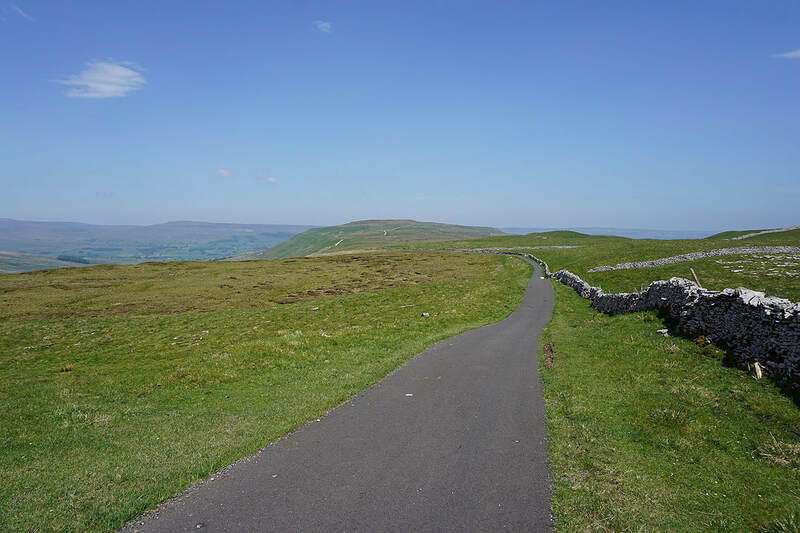 From the car park in Hawes I walked up the lane to Gayle and onto the trail of the Pennine Way. 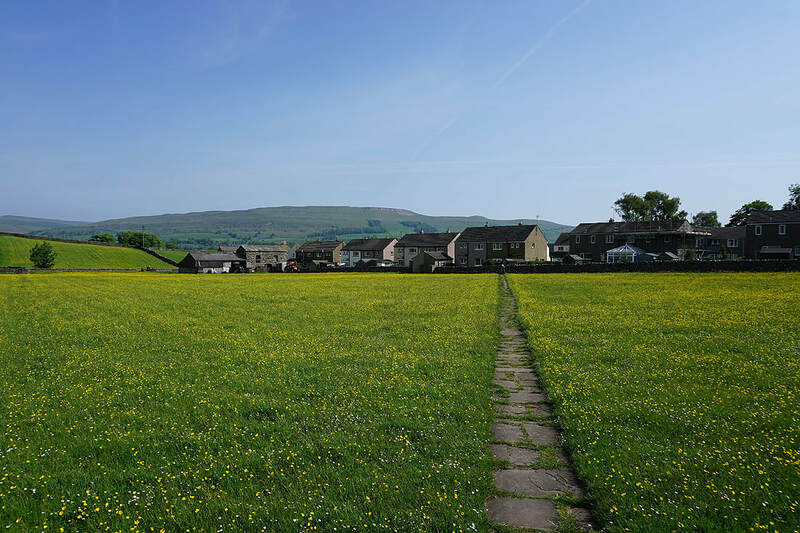 This makes its way through a housing estate before leaving Gayle to take to the fields to reach Gaudy Lane. 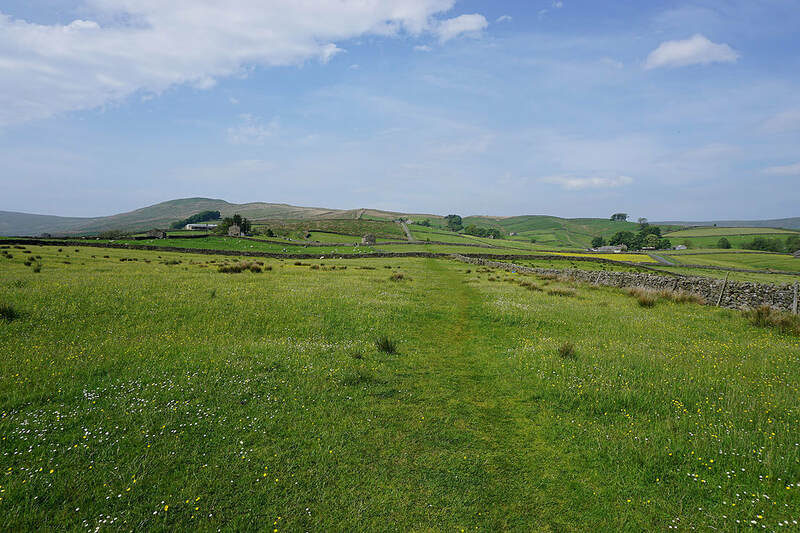 I followed the trail up Gaudy Lane to its end, onto the open fell, up onto Ten End Peat Ground to where it joins the track of West Cam Road. 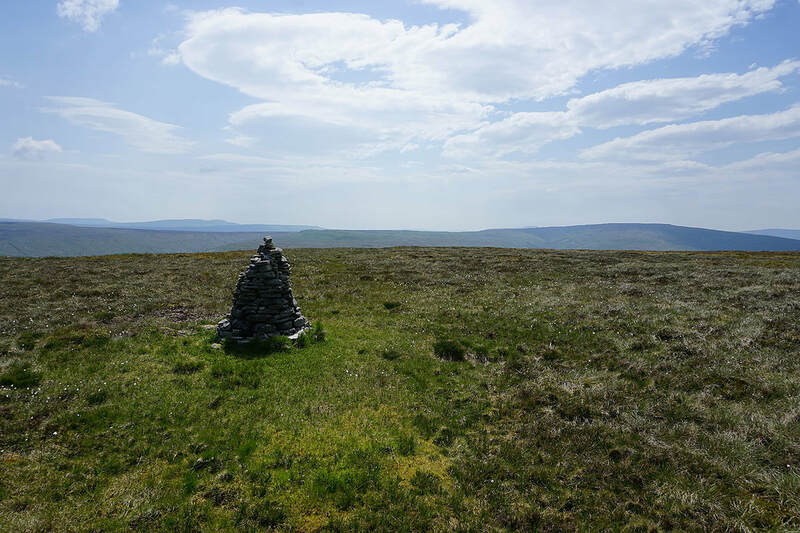 I then walked south along West Cam Road until I spotted a little cairn on the hillside above to the left. 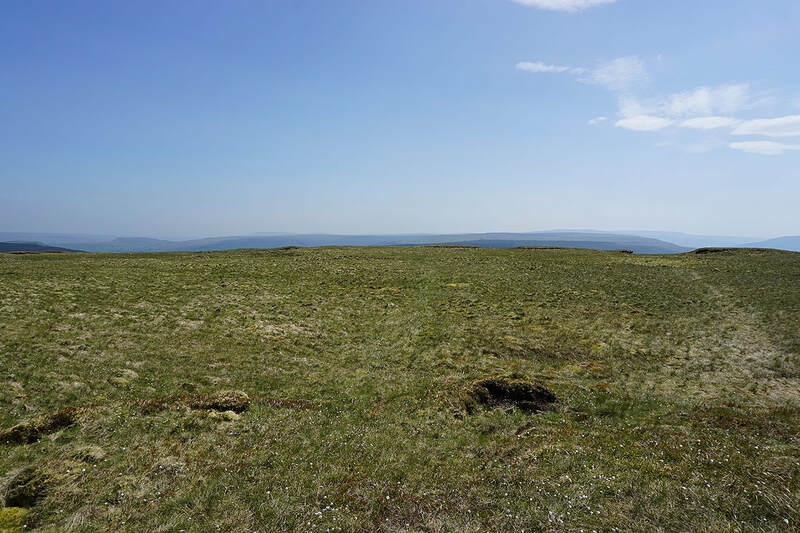 This was just the spot where I'd considered leaving the track to make my ascent to the trig point on Dodd Fell Hill. 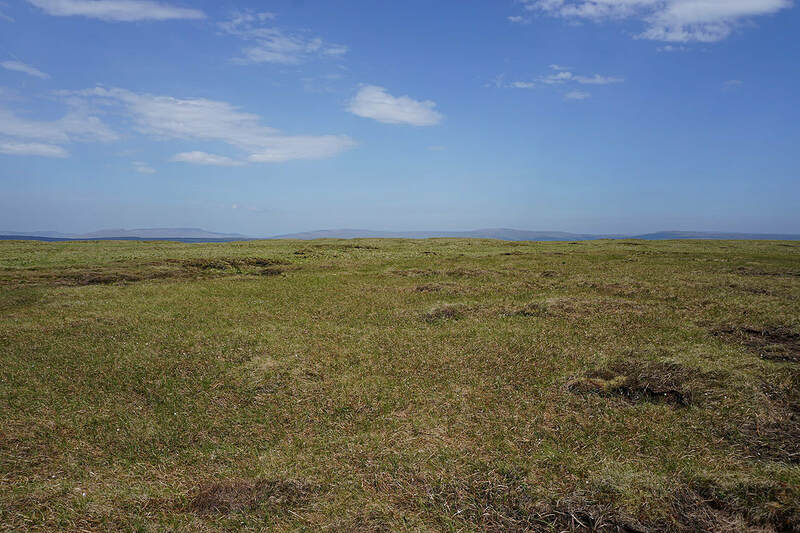 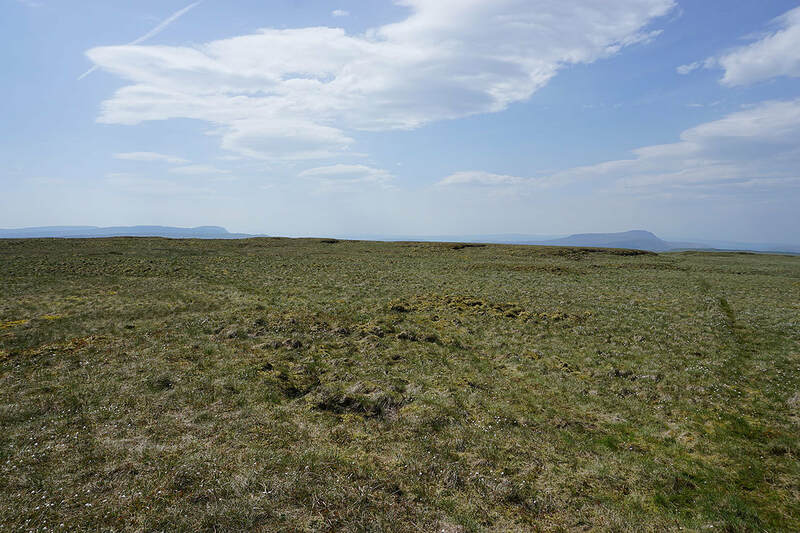 A clear trod through the tussocks took me up it and back down. 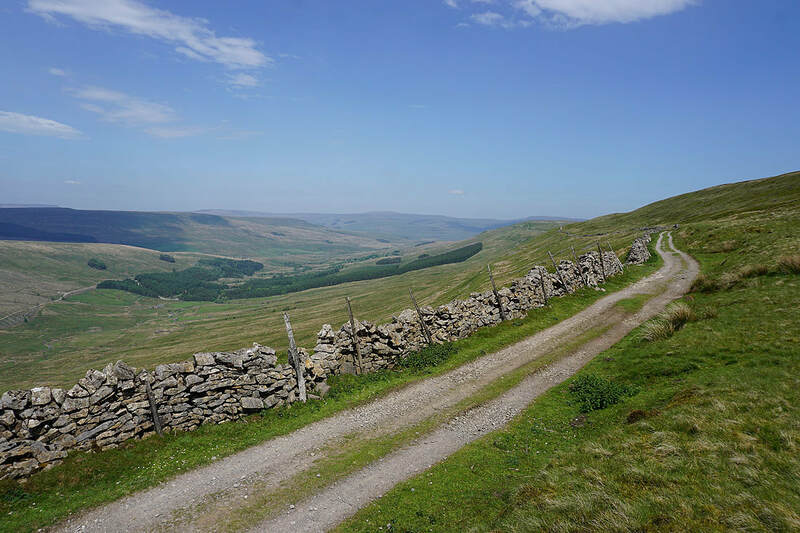 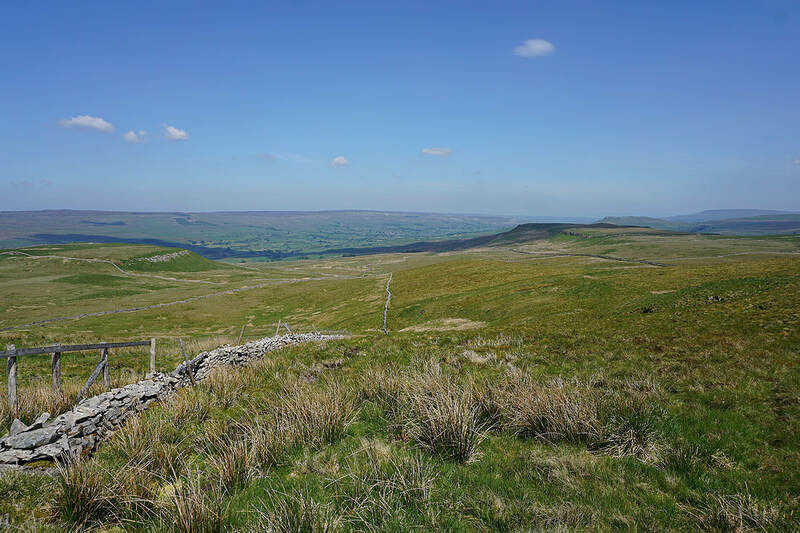 Once back on the Pennine Way I continued south to reach the Cam High Road at Kidhow Gate. 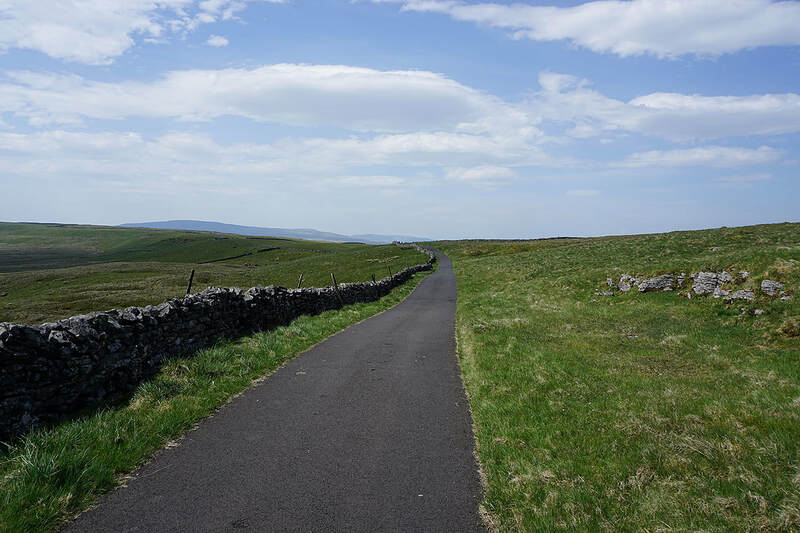 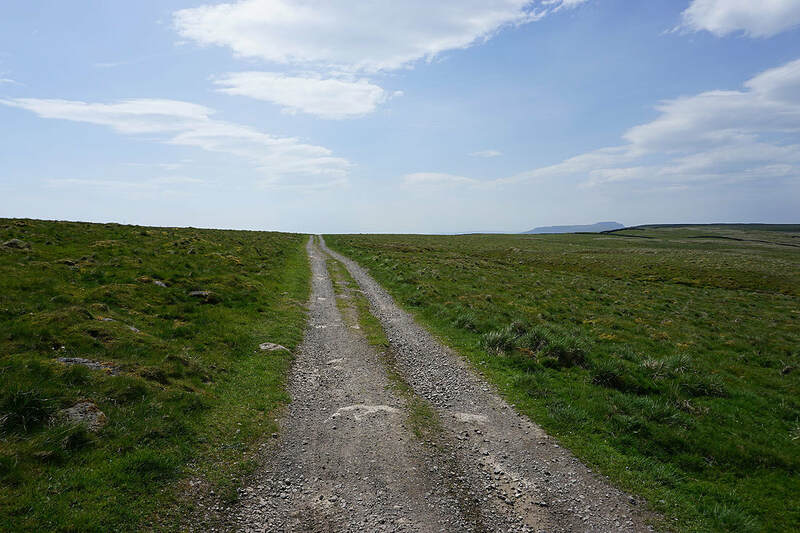 The Pennine Way was left behind here to follow the tarmacked Cam High Road east past where it leaves the tarmac and becomes a track across Wether Fell. 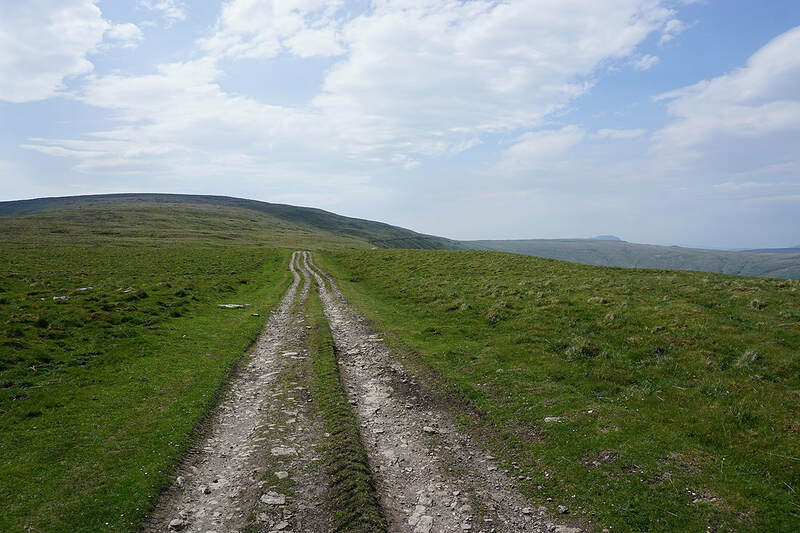 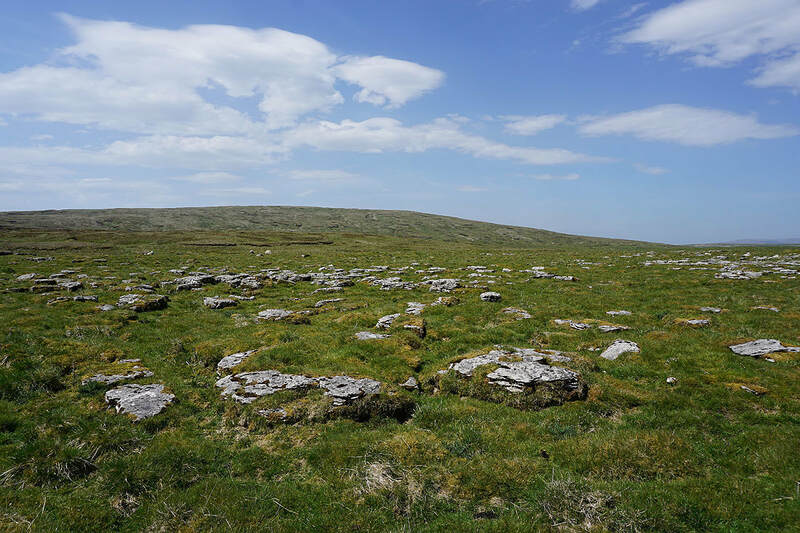 I left the track to visit the cairn of Drumaldrace and soon after returning to it I reached the bridleway down to Burtersett. 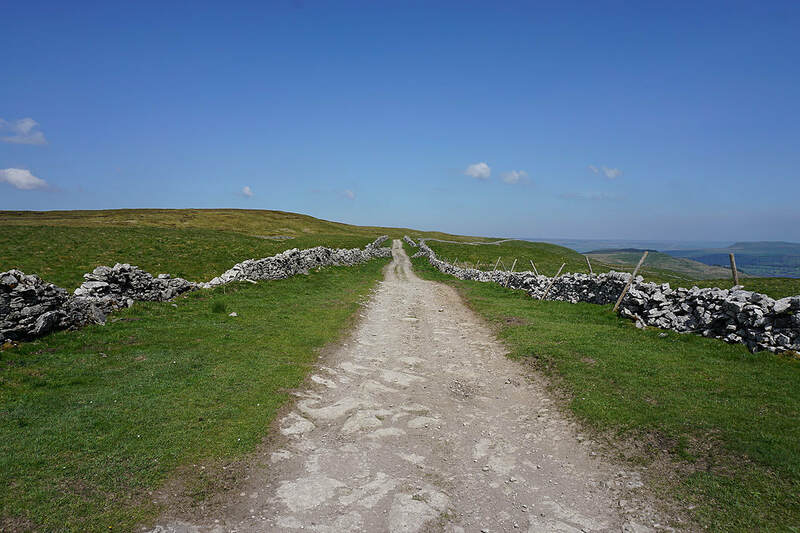 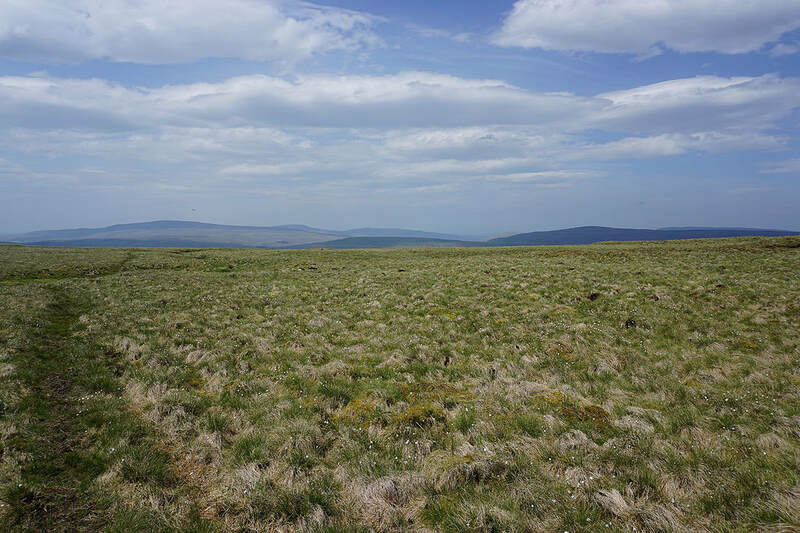 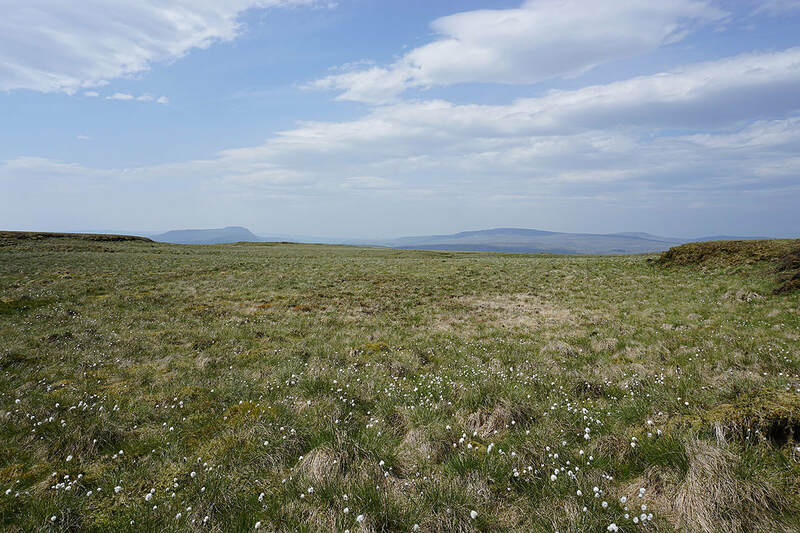 Once down in Burtersett I took Shaws Lane west, then a footpath across fields to reach Gayle. 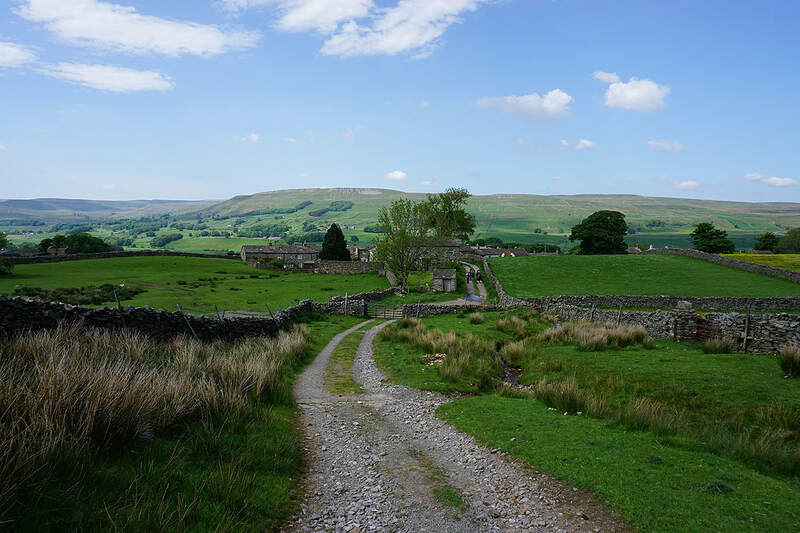 I was then left with a short walk back to Hawes. 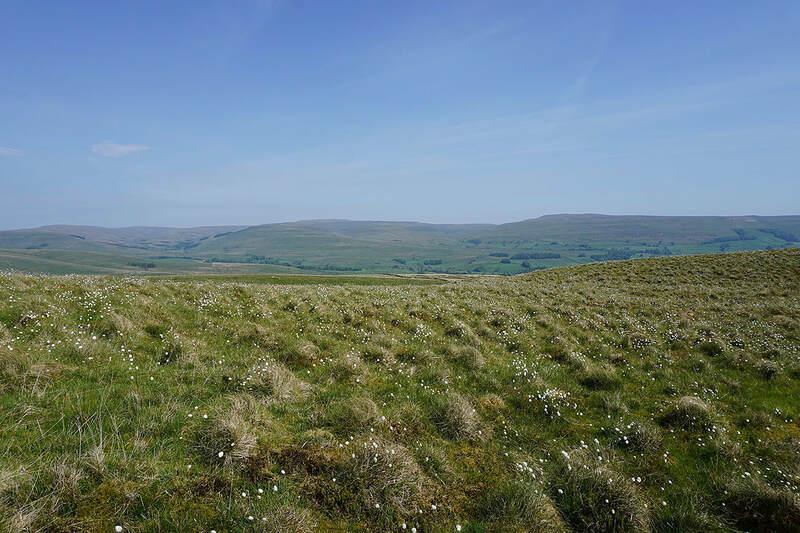 Leaving Hawes with Ten End Peat Ground in the distance. 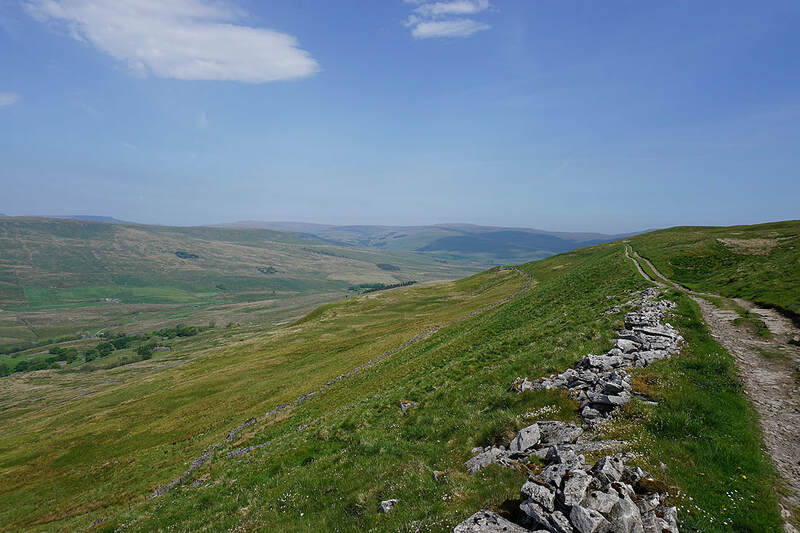 I'll be heading up there on the Pennine Way soon. 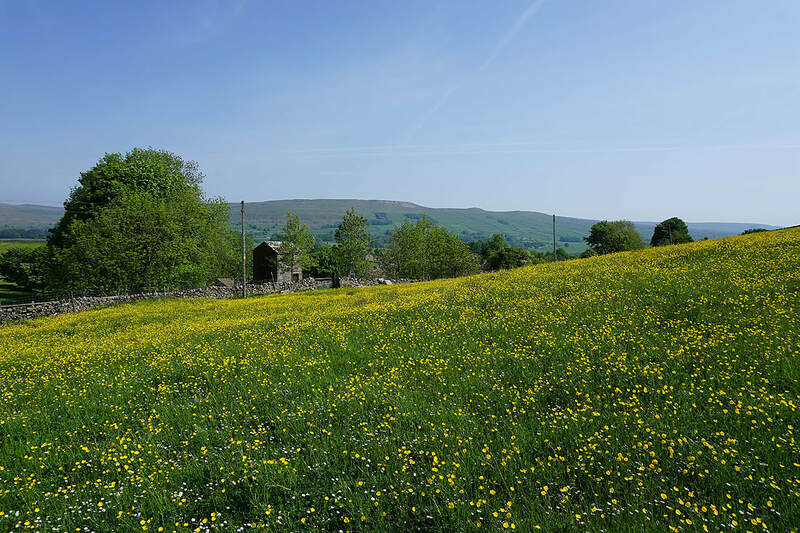 Another buttercup filled meadow as the trail leaves Gayle.. 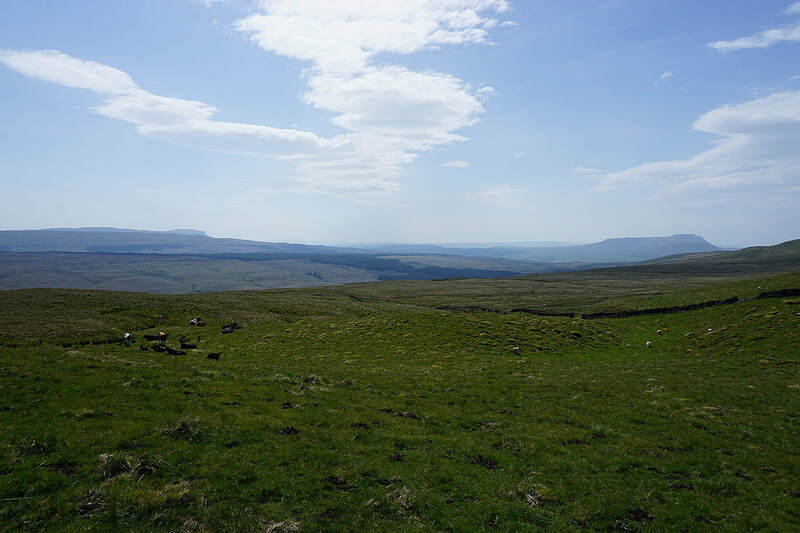 Looking across the head of the valley of Snaizeholme to Whernside. 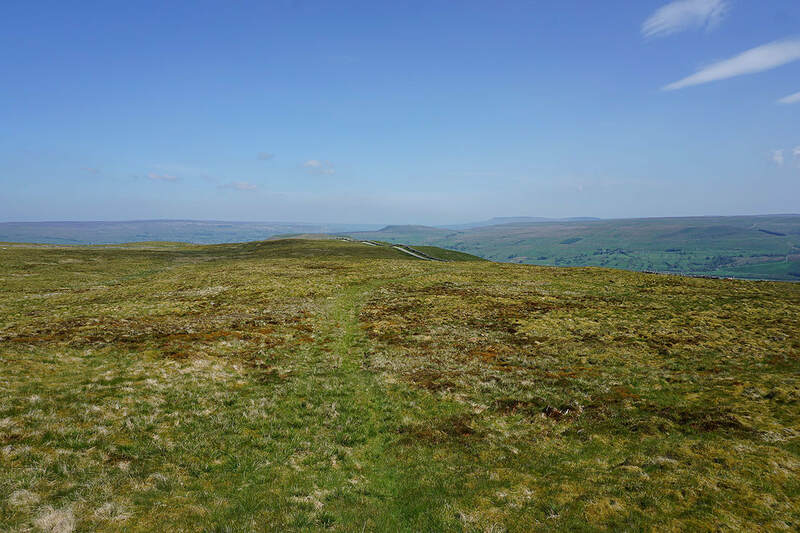 This was more or less where I left West Cam Road to make my way up to the trig point on Dodd Fell Hill. 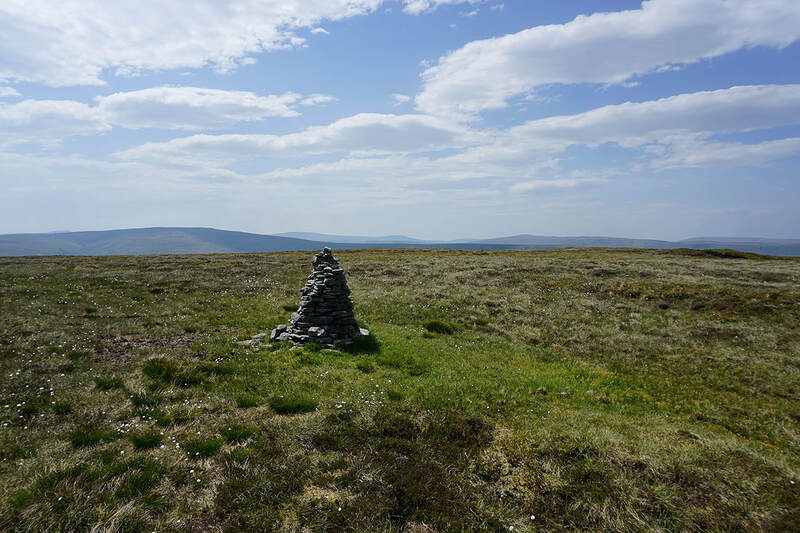 Approaching the trig point on Dodd Fell Hill. 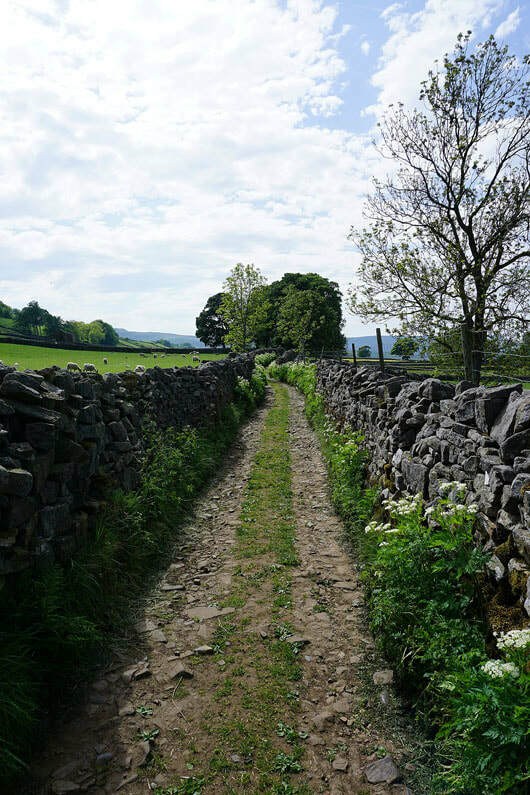 The ground was mostly nice and firm underfoot. 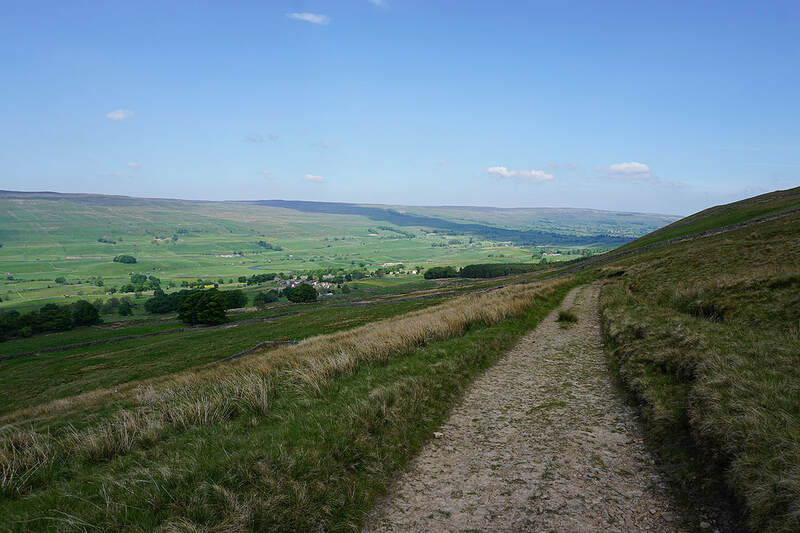 and this is where it meets the Cam High Road and I leave the Pennine Way, at Kidhow Gate. 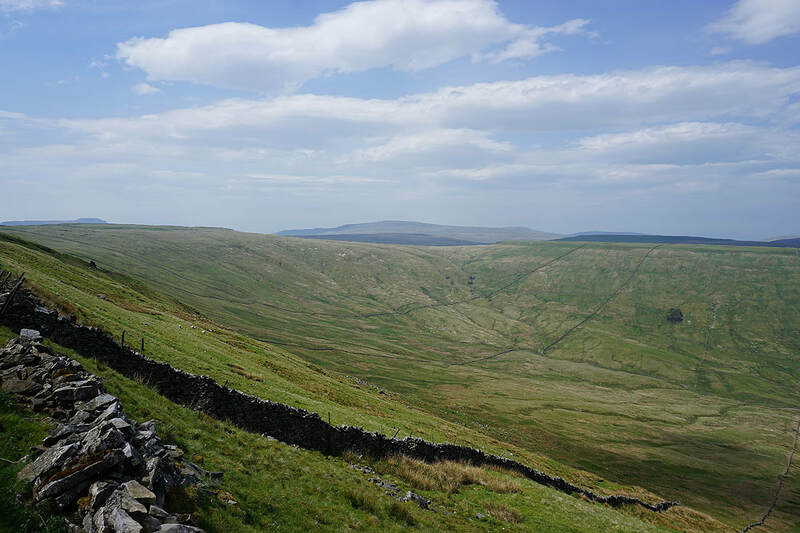 A remote and quiet spot to stop for a break. 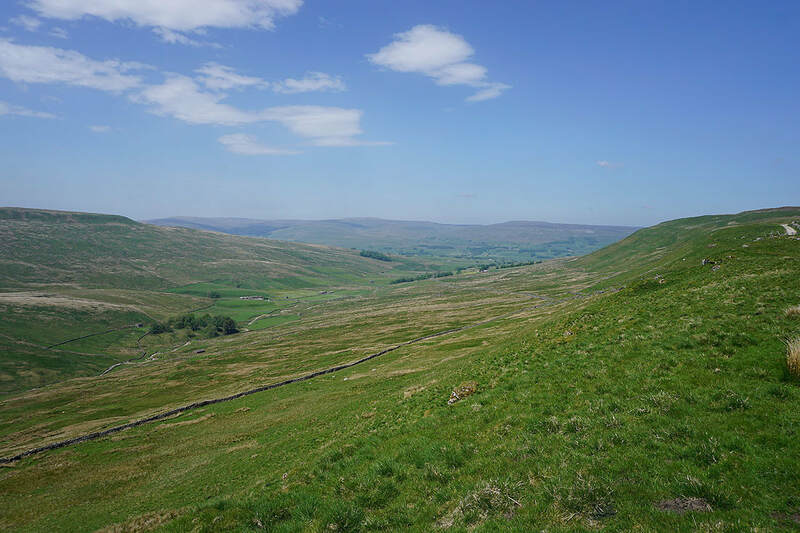 Looking down into Oughtershaw and Langstrothdale as..
On the track of Cam High Road across Wether Fell. 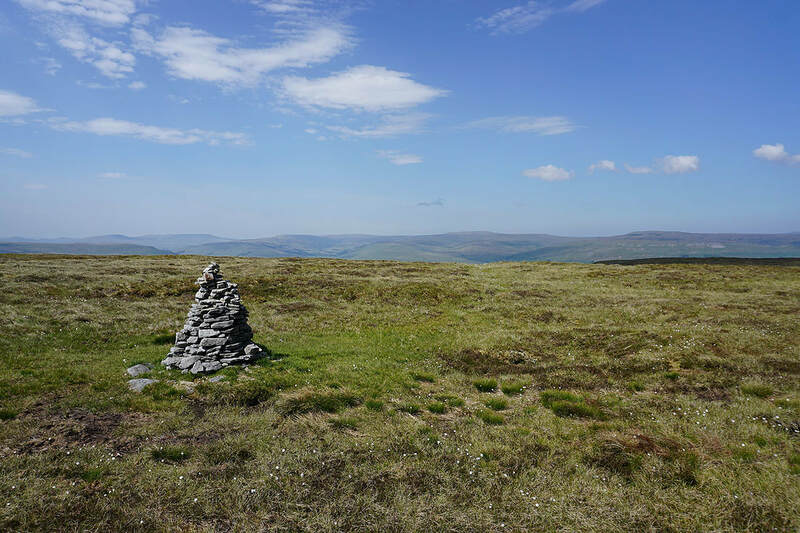 Just up ahead I'll leave it to visit the summit cairn. 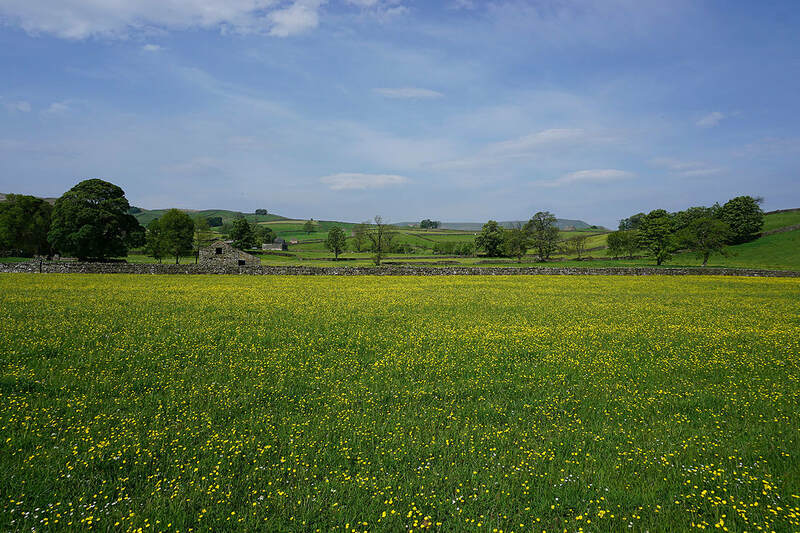 The first of many buttercup filled fields as I reach the end of Shaws Lane..
On my way down to Gayle..